As Hurricane Florence comes closer to the coast, the American Red Cross in Maryland is prepared for what this massive storm may bring. Teams of volunteers are on standby and several emergency vehicles are stocked and ready to go depending upon where crews are needed most. "We have had all kinds of preparations in place over the last number of hours to try and be ready for whatever path the storm is going to take. 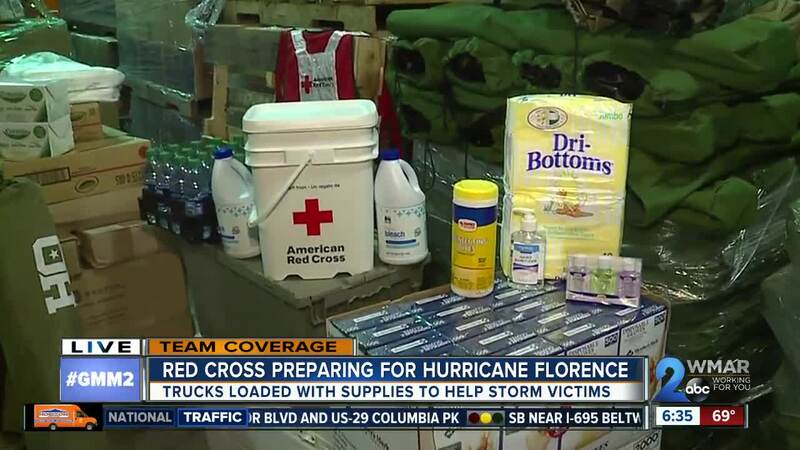 Now that it looks like it is going to be going a little bit south of us we have our assets in place to help out our neighbors who may need help,” explained Larry Swerdlin, a leadership volunteer and one of the Assistant Directors of Disaster Response with the Red Cross. Ahead of the storm, Swerdlin says they are focusing on preparing for those who need to evacuate . They are getting shelters ready, collecting food, and getting supplies together to help people with the clean-up after the storm passes. According to Dave Slaughter, the Chairman of the American Red Cross Board of Directors, all of their preparations would not be possible without the help of the community. “Our communities have bee generous forever, we have been here 100 years and we count on the community for monetary resources, supplies, and volunteers. Right now, the Red Cross is the conduit for getting those resources to the people that are in need, organizing them, and making sure we are supporting the mission of alleviating the suffering from disaster,” Slaughter said. SEE ALSO: FLORENCE LATEST: Will It Miss Maryland? Slaughter says while the storm looks like it will miss most of Maryland, volunteers and responders will be ready to help wherever they are needed. He also says if you would like to help support the Red Cross they are not accepting items as donations at this time, but you can always donate money or volunteer your time. 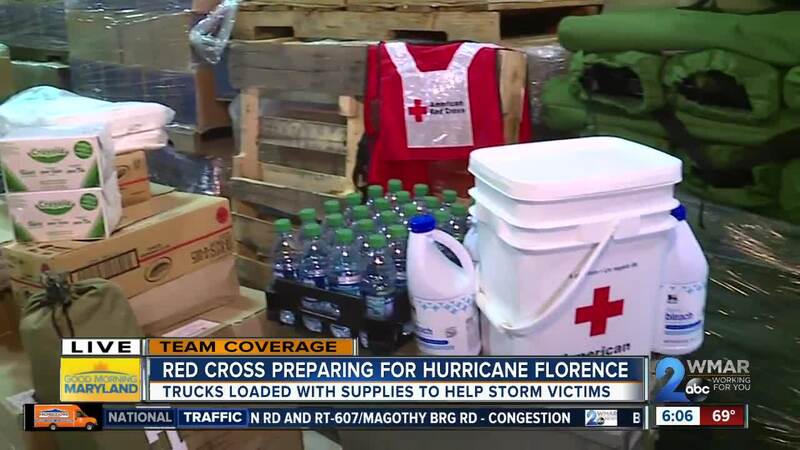 And while organizations like the Red Cross are here to help, they suggest you prepare on your own as well. Before it hits, find a place to store all your outdoor furniture so it can't be moved by strong winds and potentially hurt someone. Also, clear all your rain gutters to prevent flooding and pressure on awnings. During the storm, get weather updates every 30 minutes from your TV and radio, or your city or county website. If you are interested in helping the Red Cross, you can click here to see what you can do to help or call 1-800-RED-CROSS.